In Jules Verne’s classic sci-fi novel you could descend into Iceland's Snaefellsjokull volcano, meet a few dinosaurs and remerge at the surface through Italy's Stromboli volcano. We can't quite match that adventure. But on this blockbuster self-drive, you’ll still witness the legendary Snaefellsnes Peninsula – and add your very own riveting chapter on the South Coast. Professor Otto Lidenbrock missed the point. Instead of attempting a Journey to the Centre of the Earth he should have focused on the natural wonders outside – not inside – Snaefellsjokull. This weeklong self-drive not only loops around the 1,446m-high volcano (which last erupted 1,800 years ago), but it also takes you to the surreal black-pebble beach of Djupalonssandur and the wave-gnawed cliffs and sea arches at Arnarstapi. 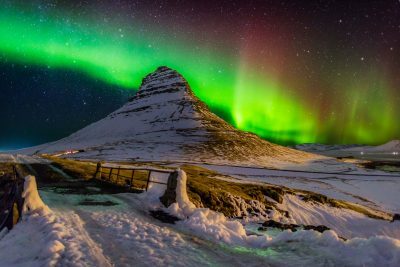 The Snaefellsnes Peninsula has everything from forbidding cinder plains and troll-like sea stacks to friendly fishing villages and elusive Arctic foxes. You really couldn’t make it up. We really appreciated the Jouney to the Centre of the Earth itinerary which gave us the chance to see so many different landscapes. 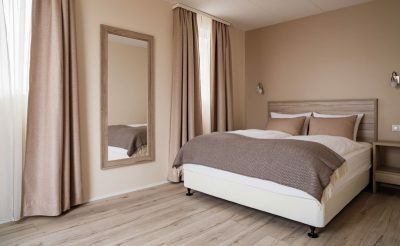 Book a 3-night stay in Stykkisholmur for winter 2018/19 at Hotel Fransiskus and only pay for 2 nights, saving up to £186 per room. Fly to Keflavik and collect your rental vehicle. 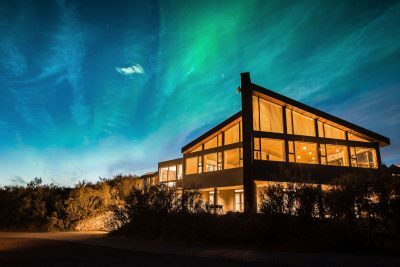 Drive to Reykjavik for an overnight stay, perhaps taking a dip in the world-famous Blue Lagoon en route (at additional cost - pre-booking required). Head east over Hellisheidi, past the greenhouse village of Hveragerdi to two of Iceland's best known waterfalls, Seljalandsfoss and Skogafoss. 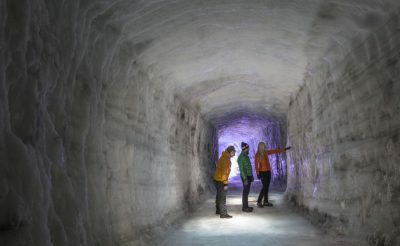 Visit the Skogar Museum or drive to Reynishverfi and stroll along a volcanic sand beach, backed by impressive basalt columns. Cross the eerie, moss-clad lava field Eldhraun, the biggest lava field in Iceland formed in 1783 after the Laki eruption and continue east to Skaftafell. Be sure to take a walk up to the nearby lake of Systravatn, view the delightful waterfall Systrafoss and the eroded basalt columns of Kirkjugolfid. 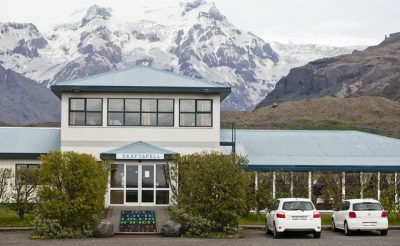 Two nights at Hotel Skaftafell. This day involves a long drive along Iceland's South coast from Reykjavik to Skaftafell but offers plenty of interesting sightseeing spots on the way. Take a hike to either the tip of the Skaftafellsjokull glacier tongue, or Svartifoss, a beautiful waterfall framed by basalt columns. In the afternoon visit the stunning glacial lagoon Jokulsarlon. Make your way back along the south coast past Myrdalsjokull and Dyrholaey with its spectacular rock arch. Visit the Thjorsadalur Valley, including the reconstructed farm at Stong, which dates from the Viking period, and finally Mount Hekla. 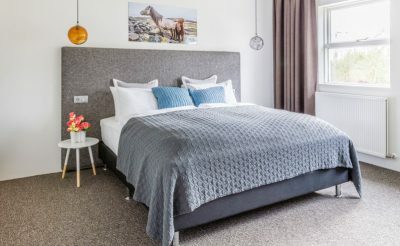 Spend one night in Geysir at Litli Geysir Hotel in the heart of the Golden Circle. 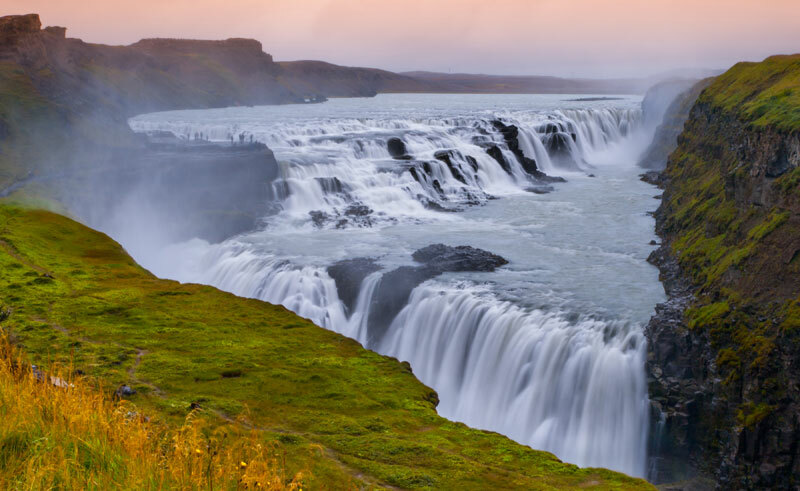 A day to explore three of Iceland's best-known natural wonders: the Geysir hot springs area, mighty Gullfoss and Thingvellir National Park for a walk around the ancient assembly site. After, continue north towards the Snaefellsnes Peninsula in West Iceland and if you wish to in the summer, take the scenic route around the edge of Hvalafjordur to visit Glymur waterfall. 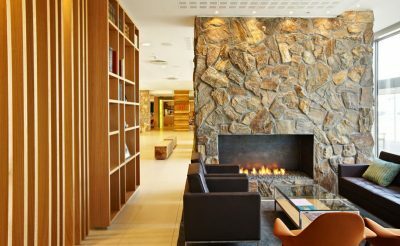 Spend three nights at Fransiskus Hotel in Stykkisholmur, a delightful harbour town with a strikingly modern church, and take a stroll to its connected island, Sugandisey. 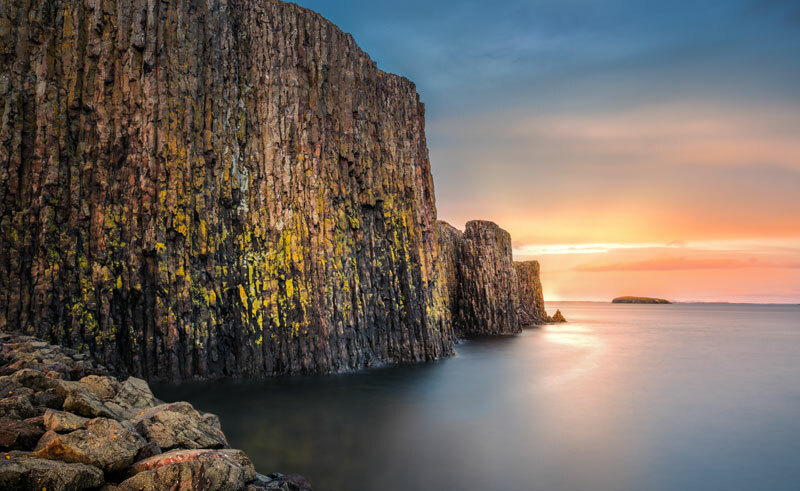 Spend the next two days exploring the scenic Snaefellsnes Peninsula, walking among the fantastic coastal formations at Arnarstapi and visit the fjords and fishing villages along its north side. With good weather you may have views of the mystical cone-shaped volcano and Snaefellsjokull icecap. 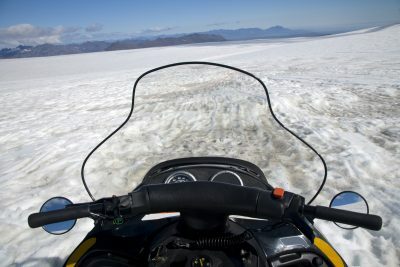 Or take part in optional excursions such as whale watching in Grundafjordur or horse riding on the coast (summer only). Drive back towards Reykjavik, perhaps taking the coastal road around the magnificent Reykjanes peninsula, before dropping off the vehicle at Keflavik and taking the evening flight home. 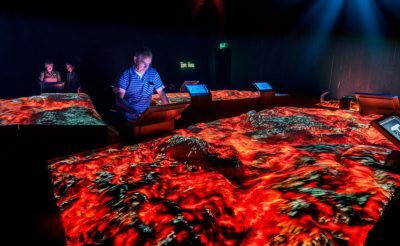 The new Lava Centre offers visitors a full multimedia experience; immersing guests into Iceland’s volcanic and seismic life. 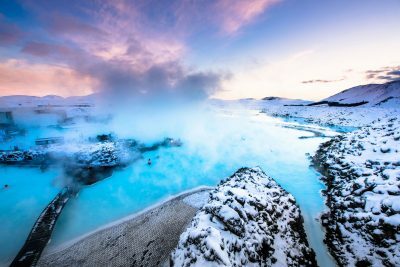 Take a dip in the naturally heated waters of the award-winning Blue Lagoon, one of Iceland’s premier attractions. Take a cruise from the coastal village of Olafsvik along the north shore of Snaefellsnes Peninsula on this whale watching excursion. 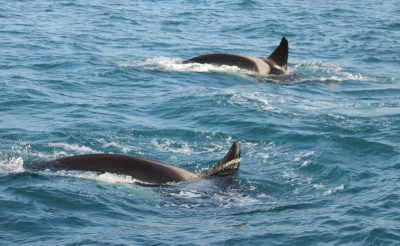 There are opportunities to spot blue, fin, humpback, minke and killer whales as well as numerous seabirds.